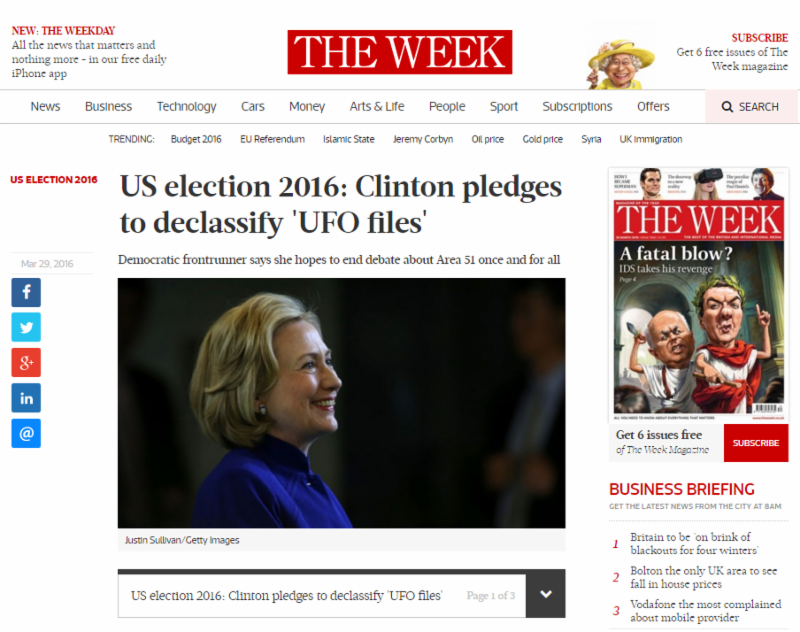 The respected UK magazine, The Week, has now stepped into the ET/Clinton connection relative to the presidential election. Also, Washington political pundits such as Conor Lynch in Salon are beginning to point out the obvious: a Clinton/Trump campaign in the Fall has the potential to tear the U.S. apart. One could make a case a non-partisan issue of profound significance is called for under the circumstances. As it happens, one is available.